When I was in kindergarten, each student who behaved and did not have to sit in time out received a pretzel stick at the end of the day. Pretzel sticks were a popular snack at my house so I used a similar tactic to coerce my younger sisters into playing school with me. I’d bribe them with pretzel sticks to get them to complete their assigned “homework”. Fast forward twenty or so years when I became a teacher of another kind: a yoga instructor. After finishing my initial teacher training, I landed my first real teaching gig. Needless to say I was petrified. Teaching a group of paying students was a far cry from the practice teaching I’d done in my training. I confessed my nervousness to my youngest sister who had some great advice for me. “Megan, just pretended you are teaching school to us when we were little and promising us pretzel sticks.” I laughed, but wouldn’t you know, this trick really worked. To this day, whenever I’m scared or apprehensive about a new or challenging teaching situation, I think about pretzel sticks. I can then connect back to the enthusiastic teacher I was in childhood, perfectly at ease with her students. Then I seek to bring the same confident, exuberant (though hopefully less bossy) manner into my yoga teaching. What tricks do you have for calming yourself before teaching or speaking in front of a group? When I was a kid, I loved dancing around to music. 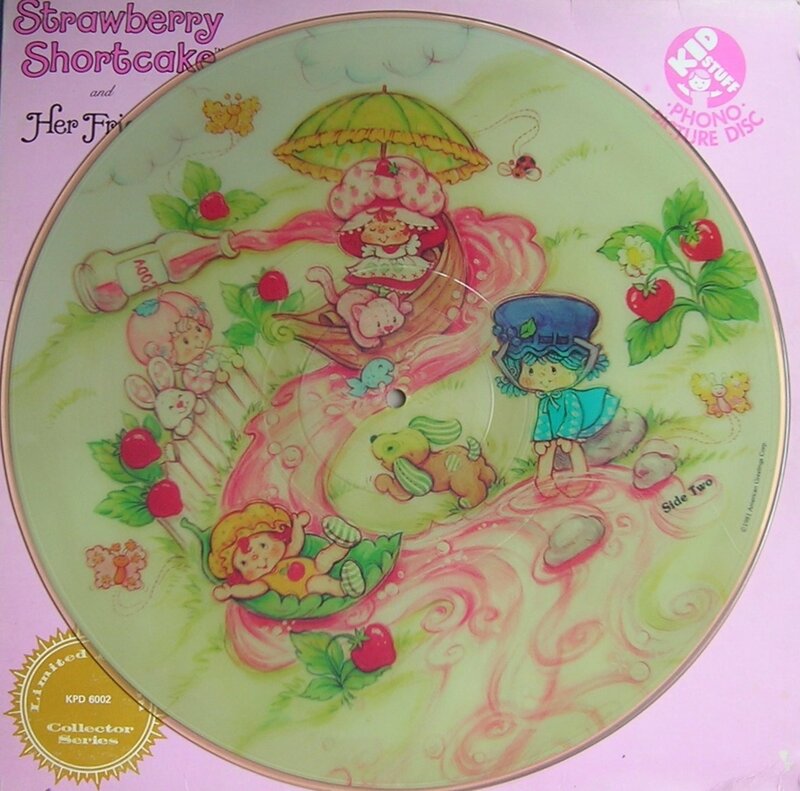 I had several Disney records as well as a beloved Strawberry Shortcake album (the latter was even strawberry in color and hit a particular nerve in my parents with its high-pitched singing. Much to their chagrin, I loved it). I carefully choreographed dance routines in addition to my freeform interpretive dance. My grandmother, Honey, came over one day. We always called my Dad’s mother Honey because years ago my oldest cousin had overheard my grandfather calling her “honey”, and started calling her Honey too. The name stuck. I nodded, positively bursting with pride. Needless to say, I was floating on cloud nine. I danced on, certain that it was only a matter of time before I was on Broadway. Honey had this special way of making you feel like you were the center of the universe. She had fun touches that made things special, whether it was serving us milk in fancy goblets or giving us presents that had lots of little gifts within one box. Her manner always instilled in me a feeling of my own greatness. We lost Honey all too early to a heart attack. I was only eight at the time, but I always remembered Honey’s admiration of my dancing. This memory fuels what I like to think of as my purpose for how I want to be in the world. I love that as a yoga teacher, I have the opportunity to help students achieve that feeling of their own greatness by nailing a challenging pose or realizing their progress in the practice. Whether it’s through teaching yoga, hanging out with friends, or even just in the small everyday interactions with the sales clerk or the person in the elevator with me, I strive to add a little brightness to each person’s day. I definitely fall short of this all the time (that four-letter word I uttered at the car in front of me in traffic comes to mind, as does last night’s grumpy complaining to my husband). However, when I’m feeling particularly cranky or negative, it helps me a lot to re-focus back to my purpose. When I reconnect to my purpose, it ends up making me feel better. I feel more creative too, as one pleasant interaction gets me thinking of another way I might be able to add something positive to someone’s day. Today is the anniversary of Honey’s death. I still miss her, but noting this date reminds me of the purpose she inspired. A picture I took of Honey and my family when I was about five. I was very proud of my picture-taking skills. What’s your purpose? What helps you stay connected to it? I don’t usually get political here, but sometimes there’s a beauty report in something so well said. My friend and writer-idol, Laurie Cunningham, has a terrific piece on true family values. Here, here! Laurie, thanks for putting the issue into authentic words better than anything I’ve read on the subject.